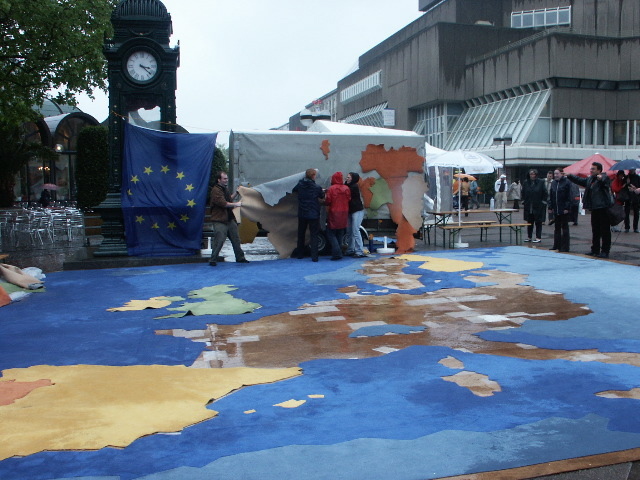 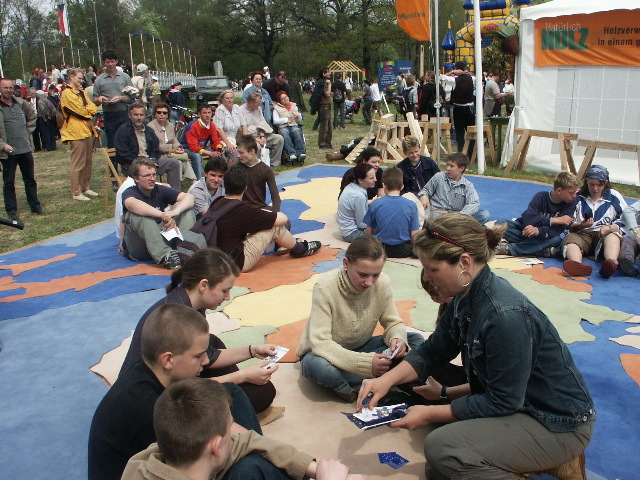 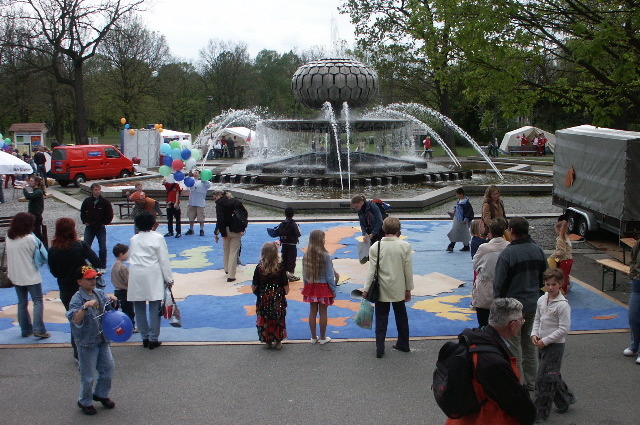 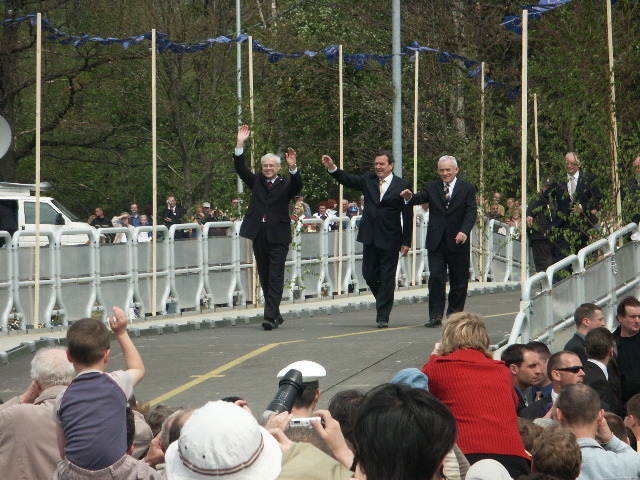 For the expansion of the European Union in 2004, Joy developed the „Europateppich“, a 10 x 10 meter jigsaw puzzle of the european map. 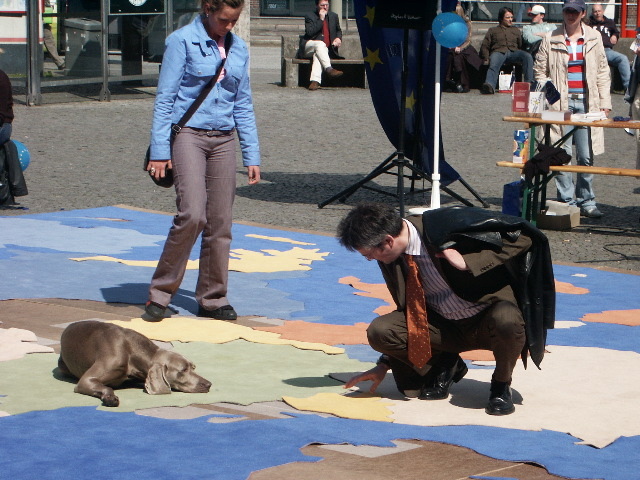 This interactive Integrated Art project travelled through Germany, visualizing the merging of Europe through collaborative and playful action. 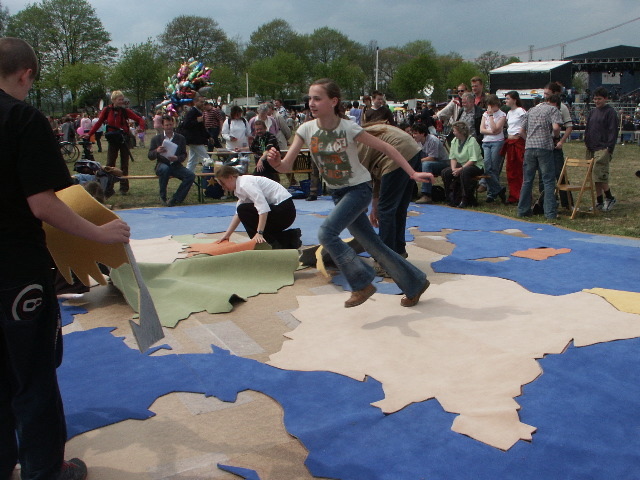 Youthgroups in Hamburg, Berlin, Hannover and Zittau assembled the jigsaw carpet at celebration events and the german media choosed this playful image for many newspaper front covers.